Grief demands a lot from an individual and may make it difficult to be fully aware of one's surroundings. In this state of mind one may not be able to clearly recall everyone who offered comfort and condolences. One way around this issue is to use funeral register books to keep track of those who attended the services. 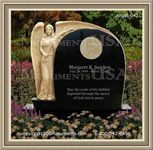 There are numerous versions of these products to provide families with a listing of who attended services and how they knew the deceased. 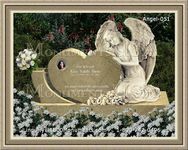 These items can be very basic, allowing spaces only for names, addresses and manner of relationship, or they could be more open so that people may share memories, leave messages or add special photographs. They are available in both physical and virtual formats. Not everyone who cared for the deceased will be able to make it to the actual services but they might still like to express their condolences. Providing an online guest book allows individuals to sign in and share their feelings, thoughts and photos. There are several businesses that offer this service with the option of having submissions bound and printed after the grieving period. Those able to attend will be best served by a physical guest book. In their simplest form, these products provide a place for guests to write just their names. 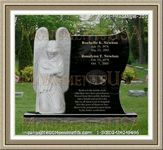 More elaborate styles allow for individuals to leave more sentimental and personalized messages to the family about their loved one. In some cases, having a traditional book may not be practical due to the amount of people or size of the venue. This can be solved by having stations set up for guests to leave their messages on cards that are collected in designated containers. After the service the family can collect these and spend time reading them as they place them in a special album. 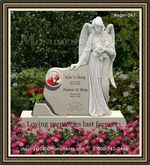 Many people are now opting to provide both virtual and physical registries in order to accommodate everyone who wishes to pay their final respects. Bringing them together creates a more complete keepsake for the family. After the mourning period is over, they can read the entries and more fully appreciate the love that was shared.